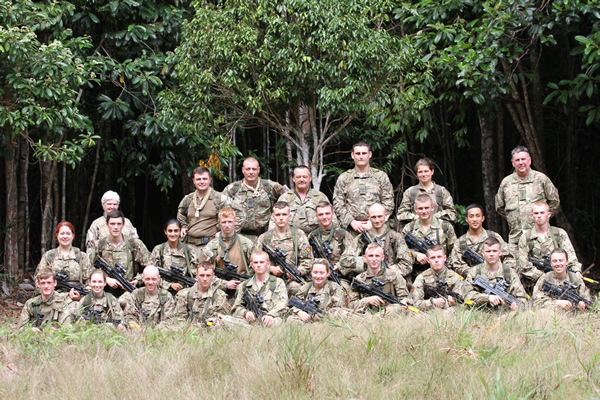 Twenty intrepid Cadets and four adults from Northumbria ACF spent two weeks experiencing working in the jungle environment of Brunei. The pre-exercise training had been conducted at our training centre at Otterburn focussing on team building, tactics, fitness and survival skills, interspersed with surprise meetings with creatures such as spiders and snakes, lizards and scorpions. We experienced one weekend where the midges at Otterburn were determined to help prepare us for their tropical cousins by coming out in force. The long haul flights were a new experience for many of the cadets, some had not flown before. 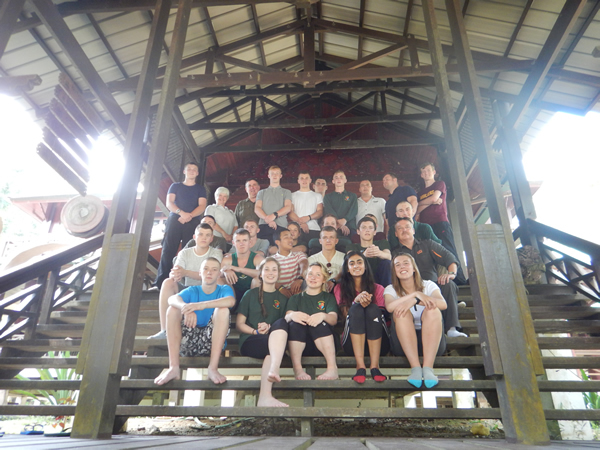 The first couple of days were spent acclimatising and receiving briefings from the Gurkhas. Nothing was too much trouble for them and their assistance made things run very smoothly. 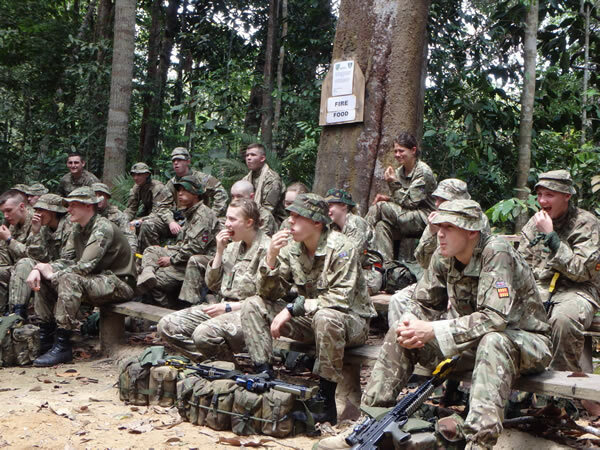 By Thursday we were all keen to get into the proper jungle, there was some trepidation as the cadets prepared for two days and a night of jungle training. One highlight was the food demonstration with a variety of local fruits to taste, and fish cooked over an open fire with rice steamed inside bamboo – delicious. Hammocks were erected as we prepared for a long night – most slept better than expected despite the night noises and a visit from an inquisitive wild boar! Saturday morning we experienced how suddenly the weather can change in this climate as the sky darkened and the rain came down. Heading back to the transport it was incredible to see the paths had changed into raging torrents in places. 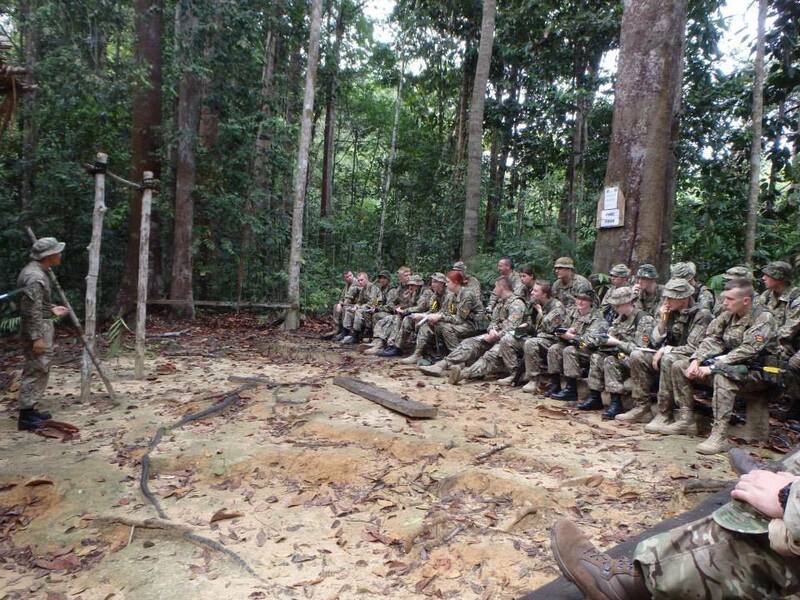 For the final exercise, we were transported to a different area of the jungle, much denser than before. There was a fairly long tactical trek to our base camp carrying all personal equipment. Once established, patrols were sent out to look for the enemy camp and gain intelligence. By last light at 6.30pm all were settled for the night, this time sleeping on the floor in bivvies or similar. 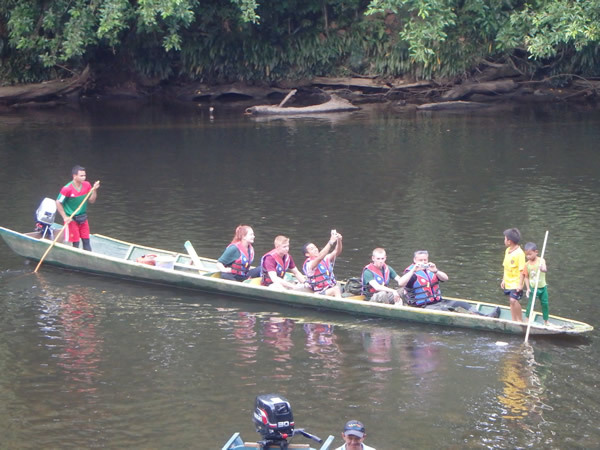 The finale to our jungle experience was a trip to Ula Temburong National Park for some amazing adventure training experiences on a variety of river boats, and long boats up the river to our centre. There was swimming in the river, a delicious meal and a night walk through the jungle spotting spiders, frogs and even a snake with our head torches. The next morning we woke early and set off at 4.30am to walk to the top of a hill and climb up a huge structure to watch the dawn break over the jungle canopy from above the tree tops. 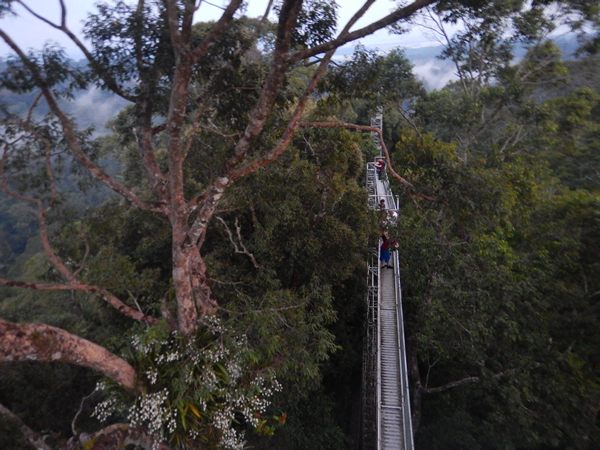 The sights and sounds were unforgettable, especially seeing hornbills and proboscis monkeys in their natural habitat. After breakfast we headed down river on inflated inner tubes and then went to a waterfall with a pool in which we paddled and found our toes nibbled by fish. All too soon the adventure was over and we returned to Sittang camp for the last night to pack our bags ready for the long flights home.